Today we added a few more Player suggestion items to the game. Polistar and Zheenx helped out with the suggestions. Cinco de Mayo shop be here for another week to allow more time to farm to get the perm rares. Bug fixing is still ongoing as so does the Battle Poll event which as in the past will be a close one. Cinco de Mayo and Randor the Red's Birthday! What a week! 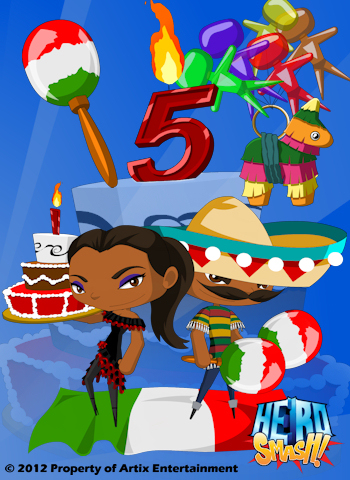 few more of item bugs have been dealt with and then built a Cinco de Mayo/ Birthday shop and filled it with seasonal goodies! There maybe one more item to be added later when finished that will be perm rare. Polistar is working hard on getting player suggestion stuff on track. Zheenx also now helping with suggestions so expect to see some soon.